Hi friends! Are you as glad as I am that it's Friday? It's kind of a blustery day here...makes me want to curl up in bed and read a book. But instead I should paint my kids' rooms ceilings or do our taxes or something. 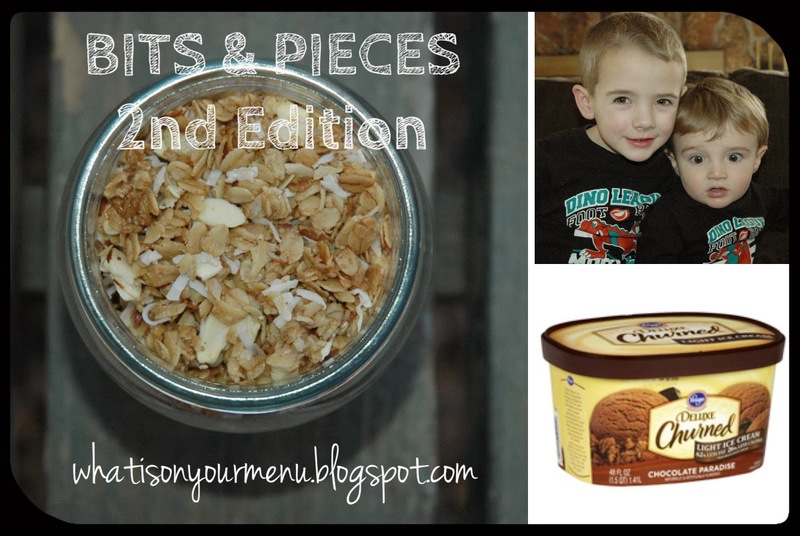 Time for the 2nd edition of Bits & Pieces (aka things that I am loving or want to share today). 1. I made this granola for a brunch this week. It was heavenly! I'll hopefully post my version of it soon. We ate it with yogurt and fruit in a parfait. 2. Yesterday I started tracking my exercise and eating using the My Fitness Pal app on my tablet. You can input your exercise and track your calories in and calories out. It made me think a little more about what I was eating. It made me think, "Do I really want to admit that I'm eating this?" I'll let you know next week how it goes. Have you used a fitness app before? 3. I made this breakfast casserole for brunch this week also. Super yummy and easy too! 4. Have I told you how much my family loves this Kroger Light French Silk Ice Cream? We go through it so fast. I usually keep an extra carton in my deep freeze. You should try it. 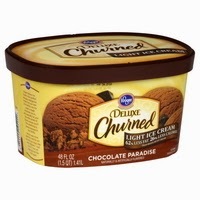 Yummy and has less fat than regular ice cream. 5. And last but not least...a picture of my little guys. Little twins! Are you doing anything fun this weekend? Making any yummy eats for the super bowl?